We conclude our year-in-review series by calling out our most popular columns of 2017, which covered subjects ranging from technical SEO tips to local search updates and more. Another year is coming to a close, and search marketers of all stripes have had their work cut out for them over the last 12 months as the industry grappled with everything from fake news to mysterious algorithm updates to automation. Fortunately, our talented contributors were at the ready, helping our readers to navigate the shifting sands of the search marketing landscape. Local had a strong showing in our top columns this year, as pieces with a local search focus accounted for three of the top 10 columns on Search Engine Land. These ranged from Joy Hawkins’s detailed account of the Google Hawk update to Wesley Young’s helpful tips on how to improve your Google My Business listing. Top honors went to Sherry Bonelli for her comprehensive piece on how to rank well in YouTube’s search results. As digital video consumption continues to rise, brands are looking to take advantage of this trend by producing high-quality — and properly optimized — video content. What else captured our readers’ interest in 2017? 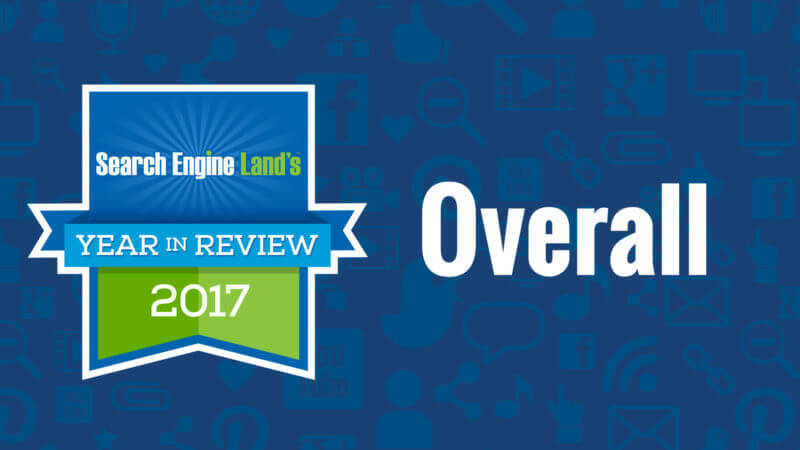 Check out Search Engine Land’s top 10 columns to find out! YouTube SEO: How to find the best traffic-generating keywords by Sherry Bonelli, published on 5/30/2017. August 22, 2017: The day the ‘Hawk’ Google local algorithm update swooped in by Joy Hawkins, published on 9/8/2017. How we hijacked Google’s SEO guide search rankings by Dan Sharp, published on 3/6/2017. Local SEO in 2017: 5 simple ways to dominate local search by Sherry Bonelli, published on 2/9/2017. Google site search is on the way out. Now what? by Paul Shapiro, published on 3/22/2017. How to check which URLs have been indexed without upsetting Google: A follow-up by Paul Shapiro, published on 1/27/2017. SEO Ranking Factors in 2017: What’s Important and What’s Not by Jessica Thompson, published on 10/25/2017. 5 ways you can improve your new business’s visibility on Google Maps by Wesley Young, published on 2/27/2017. The complete guide to optimizing content for SEO (with checklist) by Nate Dame, published on 4/12/2017. 5 must-do technical SEO audit items in 2017 by Aleyda Solis, published on 6/22/2017.